T-328 is a tube based Hi-Gain Distortion effect for electric guitars. The device has two channels: Lead and Crunch. This pedal produces a crunchy yet natural-sounding tone. The BOOST knob adds extra gain and controls the amount of lows which reach the gain stage, making it possible to dial a wide range of tones depending on the type of guitar and pickups, from bright to thick or anything in between. 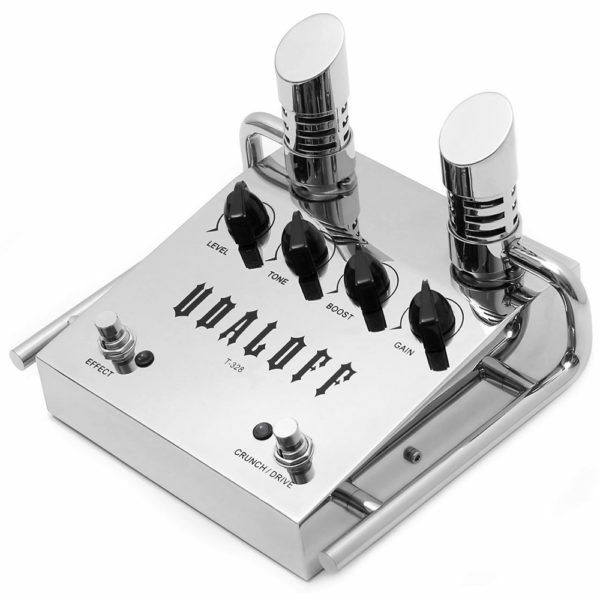 The unit is equipped with a bias mode switch, thus making tone harsher or softer. BYPASS – true mechanical bypass of the effect.